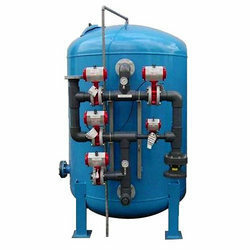 We are leading manufacturer of Iron Removal Filters and our product is made up of good quality. Used for removal of dissolved iron, present in the form of lower oxides. To facilitate regeneration, optional regenerant systems are available. In order to restore the media, it must be periodically regenerated with potassium permanganate (depending upon oxygen content of water). Designed in line with international quality standards, these filters are used for removing both oxidized iron and iron present in solution. Compact size plants have filter media that are capable of removing small amounts of hydrogen sulfide. 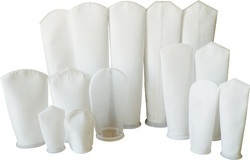 With the practical upper limit of iron concentration for these filters being 5 ppm. It acts as an efficient filter for removing oxidized iron and sediment. It acts as a compact catalyst in augmenting the union of oxygen and dissolved iron in water to form oxidized (filterable) iron (the water must contain at least 0.1 ppm oxygen for every 0.7 ppm of iron). In a case where the water has little or no oxygen the media will give up some of its own store of oxygen to oxidize iron. To aid in the oxidation of iron, the chlorine or potassium permanganate may be fed into the water ahead of the iron filter. 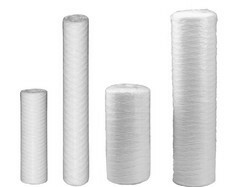 Clear Aqua offers high quality PP Spun Filter Cartridges used for water filtration. various size available in slim and Jumbo size. 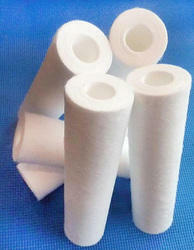 Looking for Cartridge Filters ?